Who says being fashionable is expensive? With about 1/2 hour and approx. 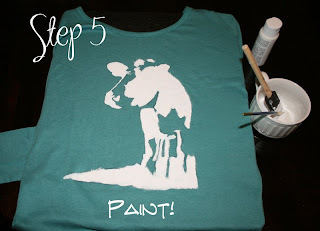 $5 you can create a custom print shirt at your kitchen table. Image- Helpful hint: I would choose an image that isn't too detailed. You will have to paint the image later! With the image right side up, trace the lines with your charcoal pencil. 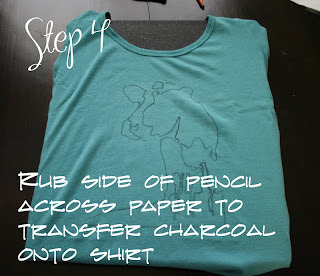 Stabilize your shirt on something solid, ie a piece of wood, cardboard or a cutting board. 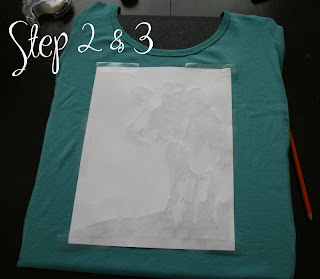 Then flip the image over and tape it onto the shirt. Helpful hint: If you decide to put text on your shirt remember to trace the opposite side of the image so it transfers the letter correctly onto your shirt. Make sure you rub over the entire image to guarantee a good transfer. Wha-la! You have a fabulous new custom shirt designed by YOU! Cool. 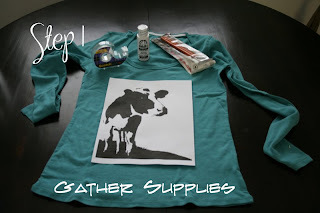 Freezer paper is another easy & awesome trick. 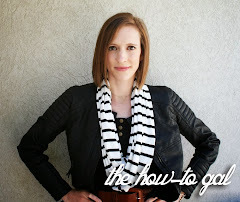 Hey Em, how does the freezer paper trick work?